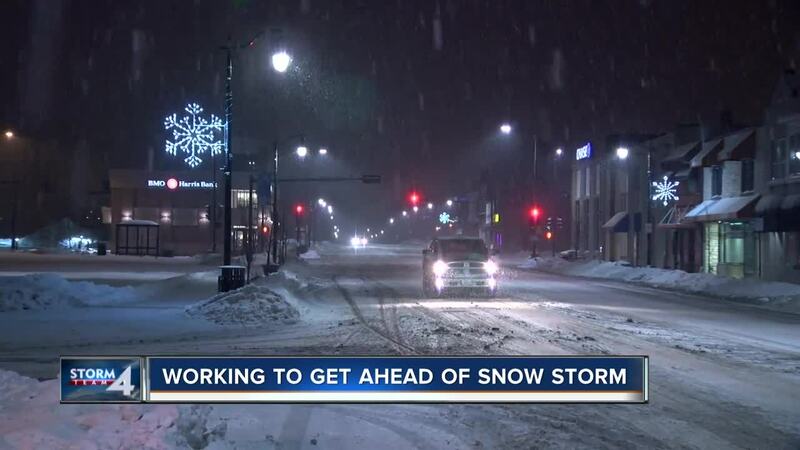 Home and business owners are preparing for the snowstorm that's already started across Southeast Wisconsin. MILWAUKEE — Snow has been falling since Tuesday afternoon in Milwaukee, and there is still a chance of freezing rain and sleet, according to our Storm Team 4 meteorologists. A predicted 5 to 8 inches of snow will fall this evening and into Wednesday, making this evening's commute home potentially dangerous. As for Kenosha, Racine and other surrounding areas, more freezing rain is expected than snow. To keep an eye on the weather, follow our Interactive Radar . To keep an eye on the traffic and potential delays, click here.